Like trees that shelter and air we breathe, Angels, guides and passed loved ones surround us at all times, and gently guide us through this incredible adventure we call Life. ​For almost two decades, Elaine has shared her gift of intuition with others so that they can begin to live the Life they have been searching for. Our Guides, passed Loved Ones and Angelic beings are an ever-present source of love, wisdom and guidance. 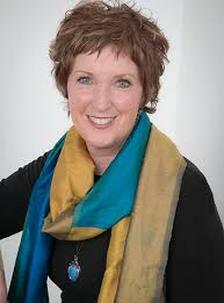 During an Intuitive Reading, Elaine intuits loving messages and provides guidance that we seek - Body, Mind, Spirit and Emotions. Life can be complicated, confusing and challenging but during an Intuitive Reading, Elaine helps to demystify some of Life's many questions, bringing a sense of peace and understanding. Loved ones who have passed shine forth their wisdom and Love, helping those left behind to feel comfort, softening the grief that is felt with the loss of a loved one. ​In the two-hour Group Reading Elaine shares messages from the Angels and provides intuited messages with each individual in attendance. It is important to note that since this is in a group format, messages will be shared in front of all in attendance. Often times the information given at a group reading will resonate with more than one individual. The intention of a Group Reading is to help all people know that we each have areas of our lives that need clarity, improvement and sometimes direction in changing the way they might be acting/thinking/behaving. Elaine cannot promise that she will be able to speak to each individual, although she will make every attempt to do so as time allows. Note: please be advised that the reading is done in a group setting, not privately, and at times the messages may be strong and straightforward, always with the understanding that Spirit (God/Goddess) knows what is happening, and things are often revealed. If someone is not willing to participate at this level, then they should not consider coming to the gathering. In this way, the whole group will share in the openness needed for growth of the highest self. To learn more about Intuitive Readings and how they can help change your life, pick up your copy of Elaine's book, The Angels and Me: Experiences of Receiving and Sharing Divine Communications today. Available on Amazon.